Hi there and happy Friday to you! 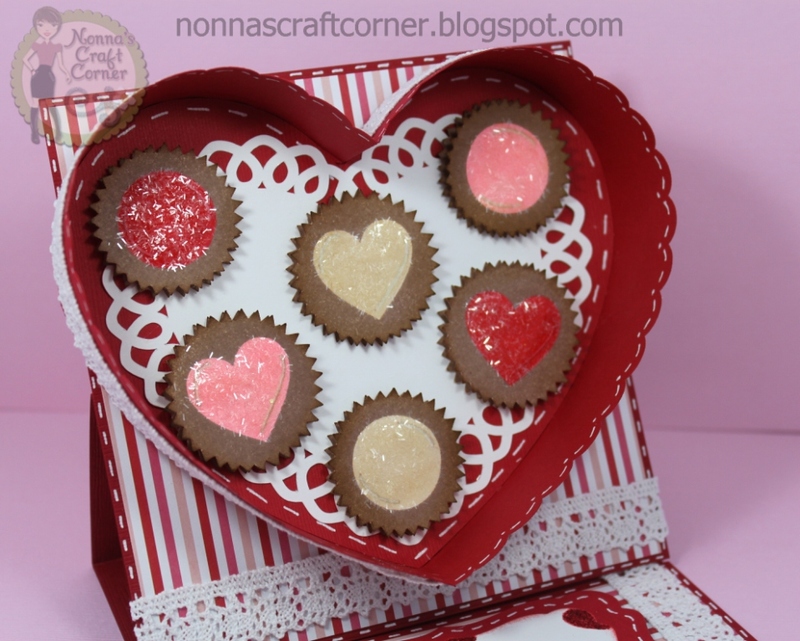 * I chose a heart shaped 3D box from the Silhouette Online Store and cut out the top only. After putting it together, I added lace around the outside and lots of doodles with my gel pen. * I also chose a lace doily from the Silhouette Online Store. It took a couple of tries to get it the right size for the inside of my box, but I finally cut one that worked! *Next comes the fun chocolates! These goodies are from the Peachy Keen Stamp Club PKSC-13 and they are so, so cute! * After stamping them and coloring the candies, I covered each piece with Glossy Accents and sprinkled on some Martha Stewart Coarse Glitter....yum! 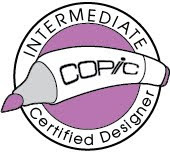 * The sentiment is also from the PKSC-13 set and is stamped on a mat cut with Spellbinders Die "Labels 17". 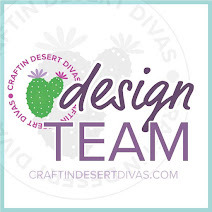 I hope you will stop by the Peachy Keen Stamps Blog and see what the ladies on our fabulous Design Team have to share with you today...talk about inspiration! 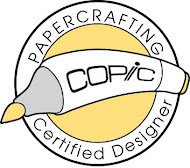 Be sure to link up your project with us at Peachy Keen Stamps...I look forward to seeing what you create! 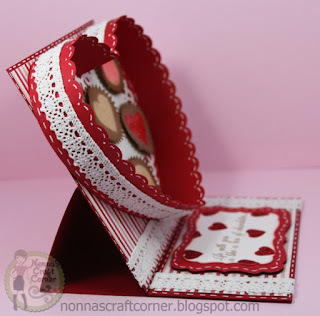 ** I will be entering this card into the "Love ya" challenge going on over at Cameo Creations . O........M............G, this card is absolutely AMAZING!! Wow wow wow!!! I love this card, so much great detail. Fantastic idea! PS: I love your watermark, how did you do it? I love this card! OMG! He's going to love this card! It's super sweet!! so cute!! you should enter it in the Cut It Up Challenge this week the theme is "love is in the air"
Oh my gosh Tanya, I don't have the words to tell you just how amazing this is! Outstanding card with so many awesome details! So inspiring! Tanya, this card is so beautiful and very unique. Love those chocolates. They look so yummy! Love all the lacy trims, beautiful! WOWZERS!!! Shut the front door girl!! This is AWESOME!!!!! What more can I say....I LOVE this!!!!! This is fabulous!! I love easel cards, and your chocolate box is amazing!!! Get out a here....this is AMAZING! I absolutely LOVE this! That candy looks good enough to eat it! FABULOUS creation and so inspiring Tanya! You rocked this project! LOVE! Tanya, this is so creative. Love every detail. Truly no-cal candy. It will last forever and you won't gain an ounce. WOW!!! What a fabulous card! I LOVE it!!! OMG! !Thisis AMAZING! !OH!So FABULOUS & FUN...and YUMMY TOO! what an AWESOME card Tanya!!! soooo creative!!! Thanks for playing with us at Cameo Creations!! Delicious Tanya! !Fabulous card and love the heart chocolate box and pretty doily. This is amazing, Tanya!! So wonderfully creative! 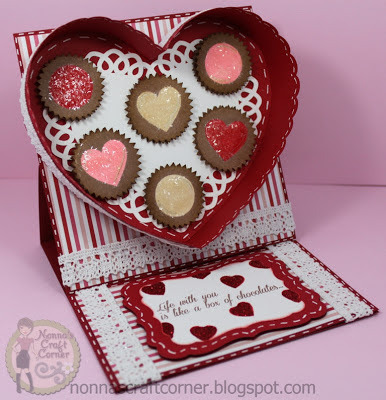 Your heart-shaped box of chocolates is incredibly well done and makes such a fabulous card front. Wow! Tanya ~ OOMMGG and YUMMY too! Okay this is beyond CLEVER, FABULOUS and AMAZING! I seriously had to look at these candie to make sure they aren't real!!! WOW!! Your hubs is going to LOVE this card! WOW WOW WOW!! This is just totally fabulous! Thank you for joining us over at Cameo Creations! Valentine Treat and Give-Away Winner! Have a CHERRY nice day! Some days are just better than others!